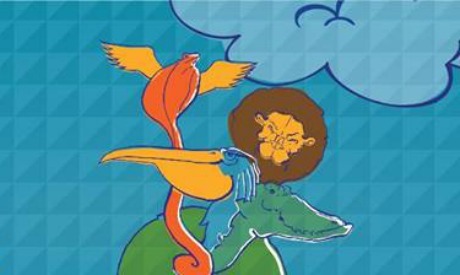 The Nile Choir, the Nile Project’s Cairo-based community music programme, will perform The Tale of the Clouds & the Nile on Saturday 28 May at Falaki Theatre. In their first-ever performance, the choir will take the audience on a journey that spans 4,132 miles and explores the diverse cultures and sounds of the river Nile. According to the official press release, The Tale of the Clouds & the Nile tells the story of legendary creatures that live on the banks of the Nile River, brought together by extraordinary circumstances and a harsh drought. The fable was written and composed by the Choir members as a collective; artfully combining the languages, instruments, and rhythms of the countries that share the Nile River to create an epic, unified sound. The Nile Choir is the brainchild of The Nile Project founded in 2011 with an aim of addressing the Nile basin’s cultural and environmental challenges. A collaboration between 11 Nile countries, the Nile Project brings together musicians, professionals and amateurs, organises educational workshops, raises awareness of the ecosystems and cultures living alongside the Nile banks, and launches music tours.